And then I found someone who, I think, loves it even more than I do. So I decided to use this fantastic review she wrote me to help show you how my curriculum is different from all the others, and why I think you’ll love it too! Believe it or not, I was so nervous to start homeschooling my rising… preschooler. I could tell you anything you need to know about teaching high school math (what I did before becoming a SAHM), but teaching a kid to read? I had no clue where to start. So I began asking around. I figured seasoned homeschooling moms would share their secrets and ease my troubled mind. But the overwhelming response to my questions was: “Teaching kids to read is the hardest thing to do. Once you get past that, everything else is easy!” Thanks for the encouragement. Well, maybe I could find the golden workbook to use. So I began shopping around. Again, I was disappointed. Everything out there seems to expect kids to do it all at once! What letter is this? What sound does it make? Okay, now write it! That’s a lot to take in at once. Needless to say, we had a few frustrating failed attempts. I thought: Maybe I’ll just wait a year. Or maybe not! Momstersraisingmonsters.com’s Pre-K curriculum was the answer to my prayers. We had immediate success when we began this program. It was so well structured and sequential, gave complete and detailed instructions about what to do and how to do it, and was designed to be custom-paced: I could go as fast or as slow as my child needed! I love that momstersraisingmonsters had it all, and in manageable chunks. As soon as we had mastered letters, we moved onto sounds. After sounds, writing. After writing, word families and finally sight words. We only needed maybe 5 minutes of school a day, but my son begged for more. He felt confident about his learning and proud of his achievements! My son is now a rising kindergartener. While I can say that this curriculum would have been appropriate to complete in two years – covering both Pre-K and K solidly, my son loved it so much that he devoured all 5 units, and is now reading independently! He can pick up a new book, recognize sight words, and sound out familiar and even new words! The bottom line: I can’t recommend this curriculum highly enough! Start at the beginning or jump in where you’re at. Feed it quickly to a ravenous-learning-machine, or take your time with a knowledge-nibbler (which is what I expect to do with my second child this year). What I learned: teaching a child to read really doesn’t have to be hard at all! But as their very first formal learning experience, we will not succeed if we expect them to jump right in juggling flaming swords. With the structure and support of momstersraisingmonsters, we had a successful, happy, and if-I-do-say-so-myself impressive Pre-K year. I just can’t wait to pull it out again this September! Thank you momstersraisingmonsters for being exactly what we needed! That’s just not fair. With my schooling and experience, I’ve learned how to teach so kids will really learn. If they don’t get it, I’m not teaching it right. So I decided to teach it right. I applied some awesome behavioral tactics and made a curriculum to introduce one piece of information at a time. I divided up the information the kids will be learning; I began with the easiest concepts, setting up the tools so that the one thing I want them to learn is the ONLY thing they need to learn to be successful. Once they master that, they learn one more thing. And then one more thing, until they master it all. And it’s super easy to customize and personalize, to do as little or as much as you want to do each day. A lot of people might like using behavioral tactics (like errorless teaching, prompts, and reinforcement) in everyday situations, but not a lot of people think to use them in education. Every child is an individual. To learn successfully, they need to be treated that way. My curriculum was designed to do exactly that, and to make learning rewarding, successful, and easy. Unit 1 is a PDF of over 130 pages, to begin structured learning for your student. Your child does not need to know the letters, numbers, or how to write. This is the first step of learning, which will teach your student to recognize and say the letters, numbers, colors, and shapes, as well as how to count to twenty and how to begin writing. 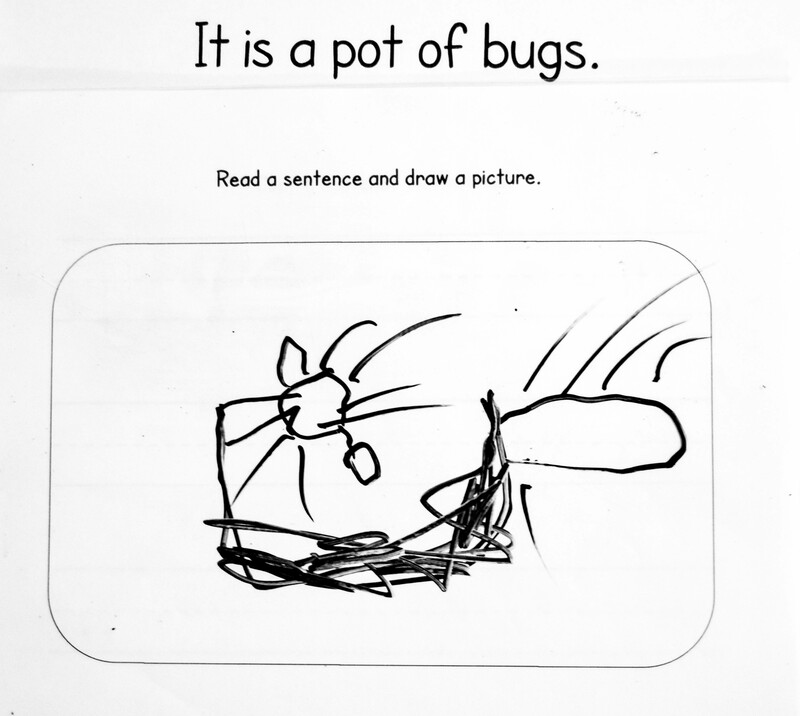 This 75 page extension of Pre-K reading should be done after the student has done or tested through Unit 1 and knows the letters, but does not need to be able to write them. 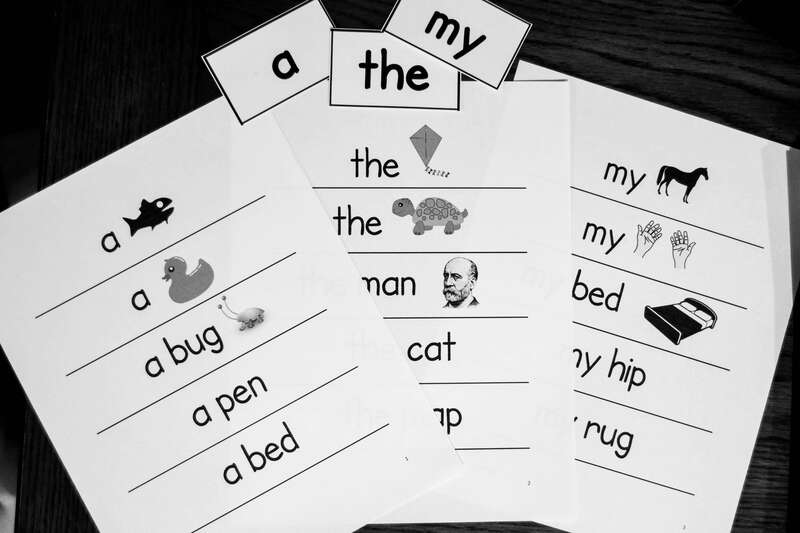 This program teaches the student that letters are associated with certain sounds when reading, and teaches what sounds the letters make. 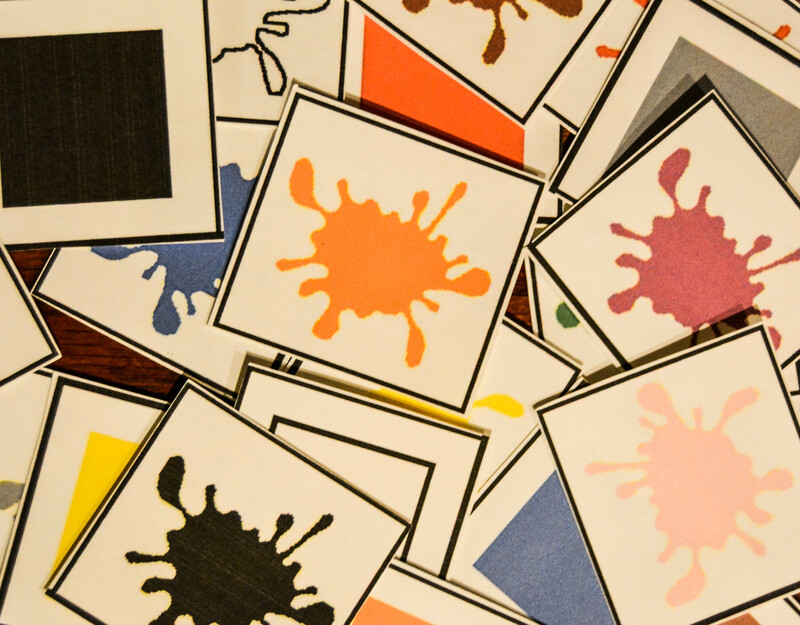 Unit 3 is a 70+ page pdf that reviews letters and letter sounds while introducing writing. When the student finishes this unit, he will be ready to complete worksheets found in Unit 4 and learn to read words and sentences. Unit 4 is suitable for Pre-K or Kindergarten level reading, as long as the student knows the letters and can write them. 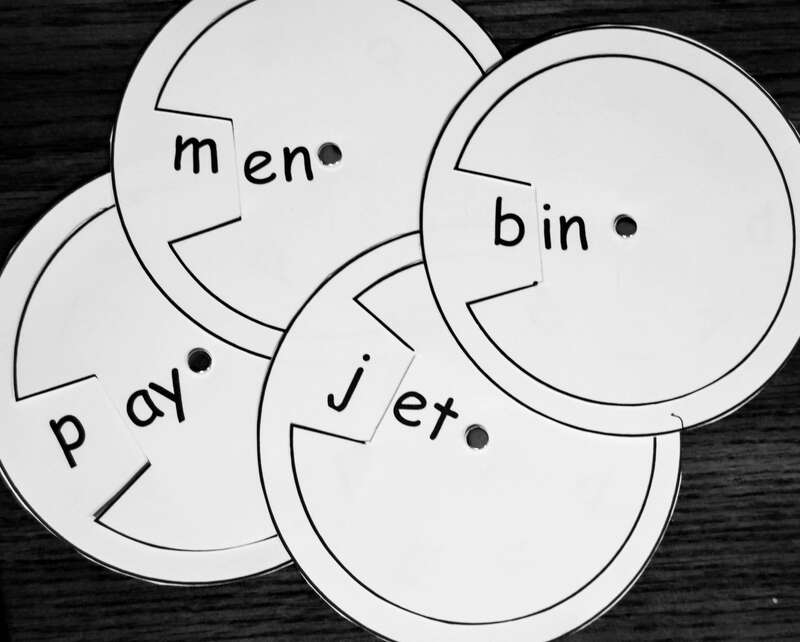 This 72 page unit teaches your student how to blend letter sounds and recognize word families to read three letter words. Unit 5 is a 55 page unit that teaches the student to memorize and read kindergarten-level high frequency words. After this unit, the student will be reading full sentences with high frequency words as well as word-family words to sound out. He will be reading questions, names, dialogue, and more, to be ready to read at a first grade level. Previous My Kid Won’t Listen! Next It’s Not You, It’s Me. I love those word family wheels!!! Thank you! They were a group effort. My sister and I scoured educational resources and the internet, and finally made the whole set and a ton of worksheets to go with them. I love them, and I just love using Unit 4!